We invite you to experience our rustic elegance, fresh air, and beautiful scenery. There are so many ways to stay here at Fort Tuthill. From Hotel rooms to cabins, and A-Frame lodges to Yurts, you’re guaranteed to be nice and cozy. Each of our accommodations have their own personal charm that makes them unique, but whichever you choose our staff will be right there with you. Our hotel has a total of 20 rooms to accommodate all kinds of people. maker, dishes, kitchen sink, and a table for four! Looking for a rustic feel with a bit more class? Then our A-Frames are for you. These two story homes are perfect for a small family or a friend’s weekend away. There is a single bedroom upstairs with a queen sized bed and a pull out couch in the living room. 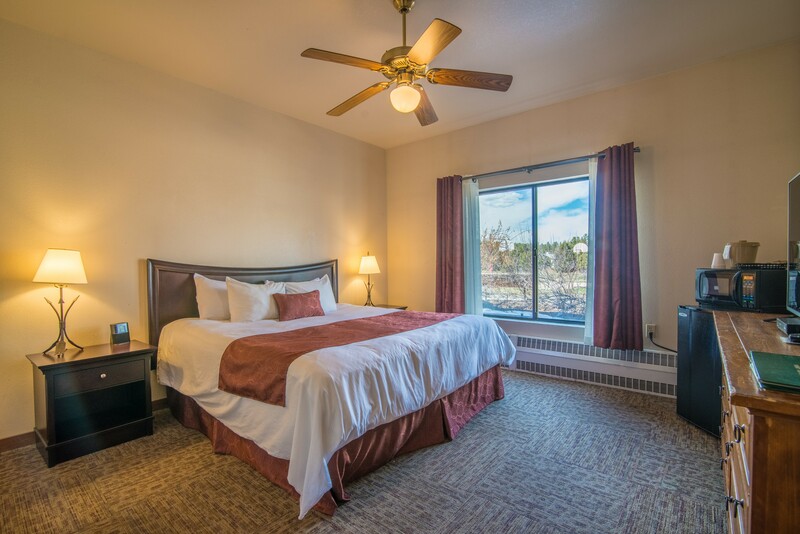 There is a closet and dresser in the bedroom that allows for ample storage during your stay. With a small, yet roomy, kitchen you’ll have everything, but the food, to help you make a delicious meal. 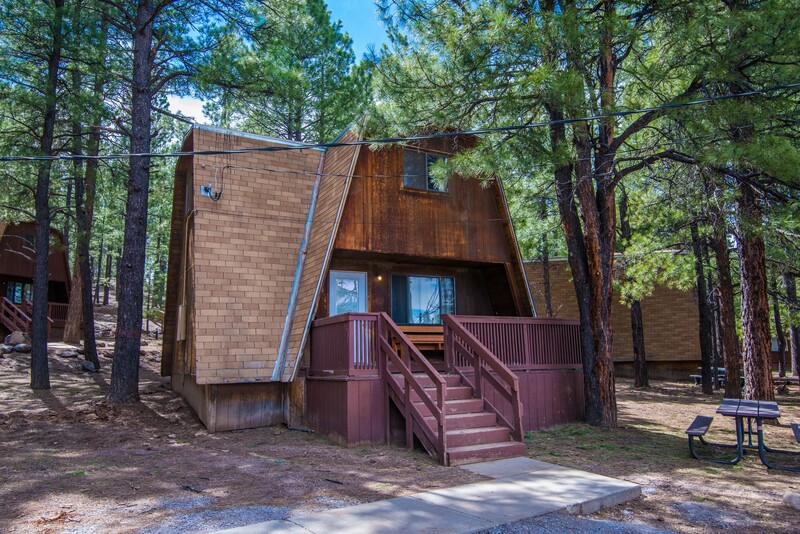 Each A-frame has a charcoal grill and a small porch out back. Coming in the winter, no worries every unit has a central heat to keep everyone toasty in between your adventures. In case you’re more of a blanket person each A-frame does have a linen trunk with some extra sheets and blankets. These aren’t your typical cabins, but they do make you feel at one with nature. Set up like studio style apartments they have all you need for a mini vacation with your loved ones. There is a queen sized bed, pull out couch, and plenty of room to have all you need. There are TVs and kitchens in every unit. Although these kitchens are not as big as the ones in the A-frames they still have all you need, besides food, to make a cool morning full of warmth. 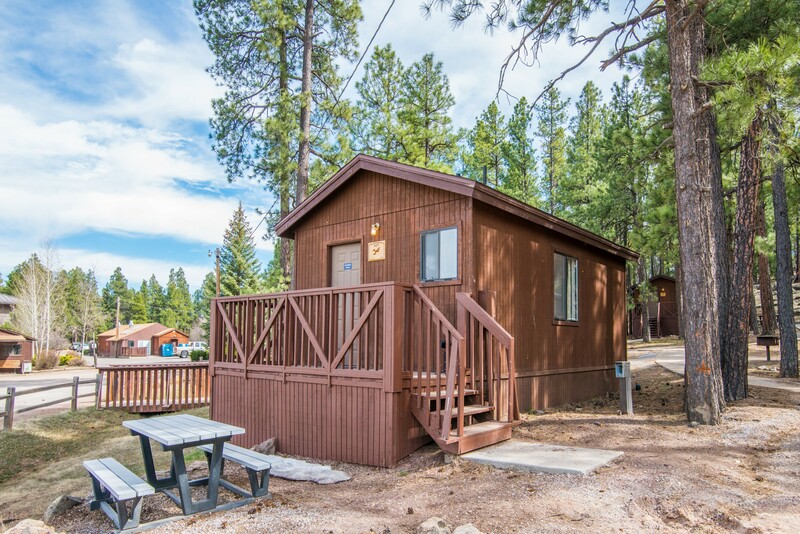 The cabins have a small porch along with stand up showers, so be sure to ask about any special accommodations before booking. Although they be small they are great for a simple weekend or weekday away. 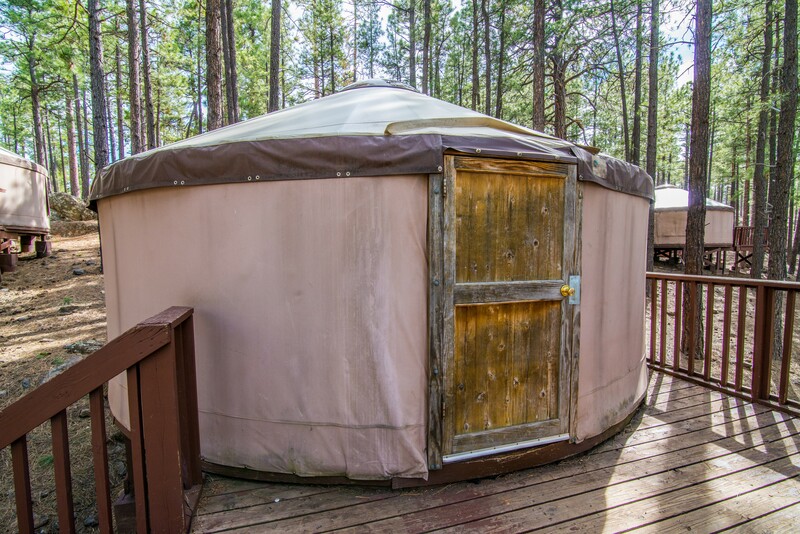 If you’re not into the cabin or A-frame style and are looking for something a bit more like “roughing it” without the effort then Yurts are for you. These domed shaped tents are the perfect size for you and your better half or maybe just you. Inside you will find a set of twin sized bunk beds, a small table, wood stove, and a mini fridge with a microwave. Our Yurts are here for the people who are looking for a bit of simple and calm in their already crazy lives.